Eleanor Marie Robertson, born on the 10th of October 1950, in Silver Spring, Maryland, is an American author who became famous under her pen name Nora Roberts. She became one of the top romance novel writers of the country. So how much is Roberts’ net worth? As of mid-2016 it is reported by authoritative sources to be over $350 million, acquired from the sales of her best-selling novels and their screen adaptations. Roberts is the youngest of five children, and the only girl. Her parents are of Irish descent, and own a lighting company. After matriculating from Montgomery Blair High School, Roberts immediately married, and any career was put on hold. Right after marriage, Roberts gave birth to two boys, and her days were spent taking care of her family until the late ’70s. After running out of things to do, Roberts started writing out of boredom. Her love of reading contributed to her love of stories, and soon she was able to finish her first novel. After a year of submitting her manuscript and being rejected, soon she was able to find a publishing house in 1980, when she became a part of Silhouette books, and her first novel “Irish Thoroughbred” was released after a year. Although it did not become an immediate success, Roberts and Silhouette books continued working together. After two years she was able to write 23 more novels under her publishing house. The sales of her early novels started her net worth. In 1985, Roberts’ novel “Playing the Odds” became her first best-seller. Aside from her wealth tremendously increasing, the success of her book also made her very famous. Roberts continued to produce best-selling titles, and also wrote for other publishing houses like Bantam and Putnam. Aside from writing her famous pseudonym, Roberts also used another pen name which is J.D. Robb. Her publishing house was not able to keep up with her speed of producing new novels, so they advised her to think of a new name so that they could continuously print her books. Roberts used J.D. Robb, and focused on writing more romantic suspense novels. Even under a different pen name, Roberts work still produced best-selling novels. Her series “In Death” became a hit among her fans, with 39 books printed under the same series title. Aside from J.D. Robb, Roberts also used pen names including Jill March and Sarah Hardesty. The novels under her various pen names also helped raise her net worth. With the fame of her books, Roberts was approached by Lifetime network to give her novels screen adaptations. Her novels “Angels Fall”, “Montana Sky”, “Blue Smoke” and “Carolina Moon” were adapted to TV-movies, and shown on the Lifetime network. Today, Roberts is still writing and has already over 200 titles under her name. 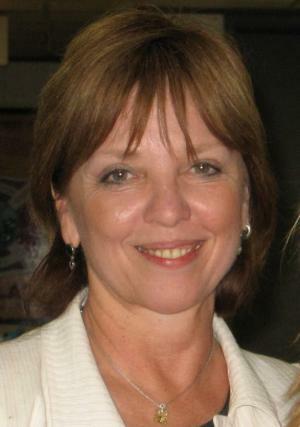 She is a multi-awarded writer and gives back to the community via the Nora Roberts Foundation. In terms of her personal life, Roberts was first married to high school sweetheart Ronald Aufdem-Brinke(1968-83) and together they have 2 kids. In 1985, Roberts married carpenter Bruce Wilder, and the two are still together.